Computex 2018 is now officially underway. Our next batch of product announcements are from RIOTORO, who is showing off a “convertible” concept case, 1200w power supply and more. Although hardware and PC needs have changed, cases have not evolved at the same pace according to RIOTORO. Project Morpheus Concept 1 is a unique “design exploration” unlike any standard case that came before it. Dubbed as the “first convertible PC chassis,” Project Morpheus is a tool-less case that can change from micro-ATX to a mid-tower. In mid-tower mode, it can house up to seven 120mm fans or two 240mm radiators. The entire exterior of the case is perforated mesh, while the interior features dual compartments for separate CPU/GPU, both helping to improve airflow. As stated, this is a concept case, so there is no information on pricing or any indication whether it will be brought to market. This 80 PLUS Gold power supply is fully-modular with flat cables and an impressive 5-year warranty. As far as stability goes, it offers a separate 12V CPU rail, Japanese solid-state capacitors, and the typical RIOTORO voltage/short-circuit protections. The Builder Edition 1200w power supply will be available (or is already available) at a suggested retail price of $219.99, which makes it one of the least expensive 1200w modular power supplies on Newegg.com. Seems like a solid value if you are in the market for that much juice. 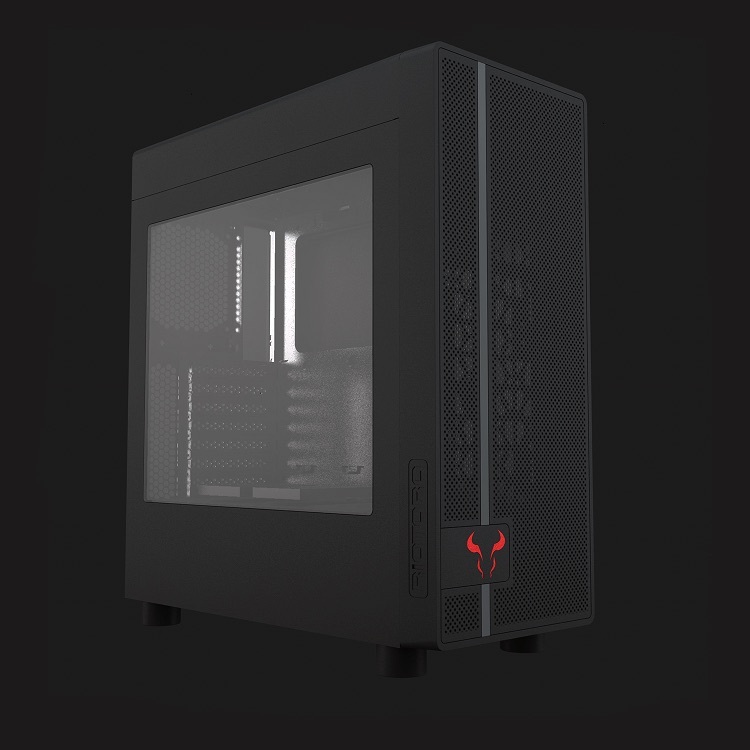 RIOTORO’s latest mid-tower case, the CR380, will hit stores sometime in Q3 at an impressive $39.99 price point. 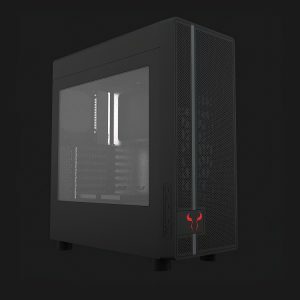 It’s not easy to find a reputable brand mid-tower at that price point, so this seems like a really solid option. Other than a sleek looking, mesh front panel, the CR380 features a side window, ample space for different cooling solutions and support for GPUs up to 300mm. That concludes our look at RIOTORO’s latest products, but stay tuned for additional coverage from Computex 2018.
i like the concept of having a convertible case but they need to minimize the logo. same with the logo on the atx case. meh on the 1200w psu. thats a market that is so chock full of top tier models it will be a long uphill road for them there. the fans could be promising, altho i like the rgb leds to be frame mounted rather than on the fan core. I would like to see cases that have built in ports for PSU, drives, fans and motherboard connectors so as to be able to do away with much of the cabling we now fight with.